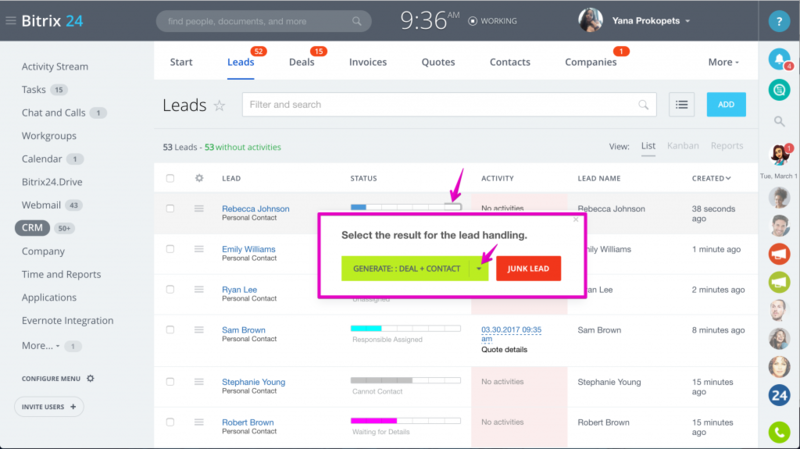 You can easily convert your Bitrix24 CRM leads to contacts, companies or deals (or to multiple entities at the same time) keeping leads both default & custom fields values & activities converted. 2. Choose CRM record type you'd like to create - it can be lead to contact conversion, lead to company, lead to deal or lead to multiple records combination. That's it. The system will perform the conversion automatically. 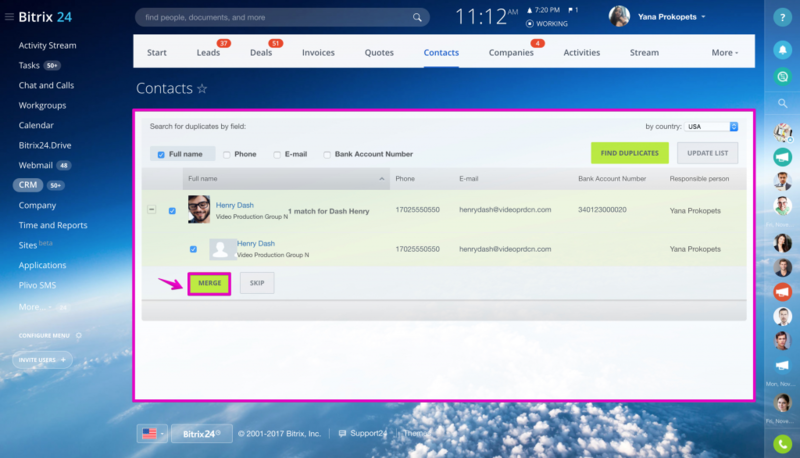 The form will show the custom fields which will be added to the new CRM record. 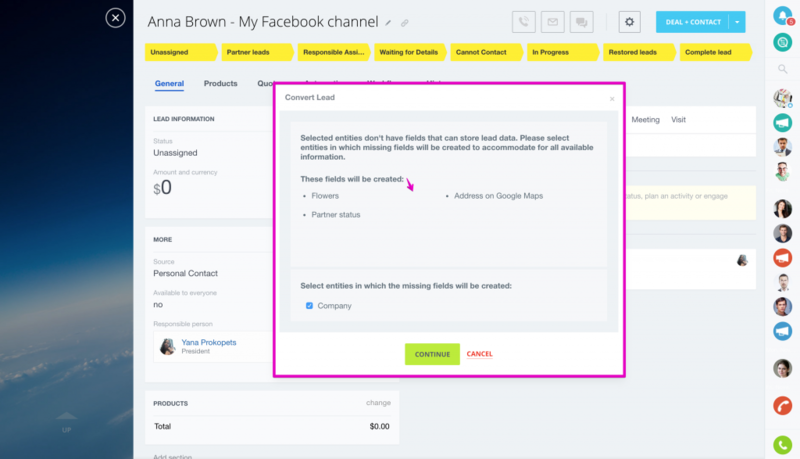 The system will create new custom fields for this CRM record type (e.g. 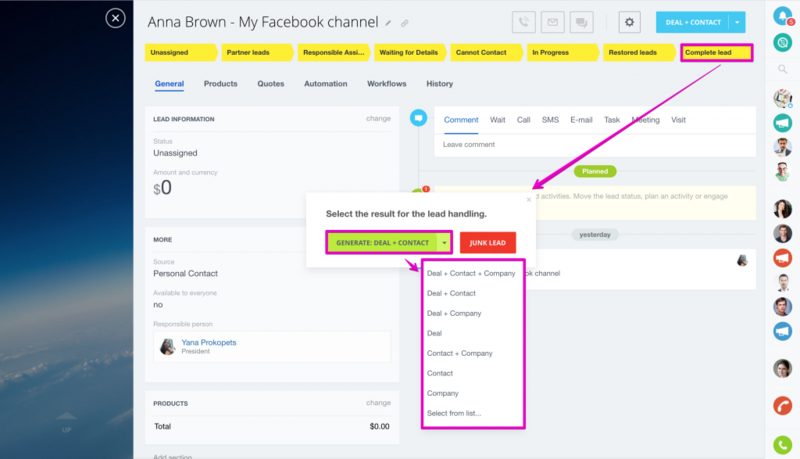 leads custom fields will be added to contact form) & you won’t see this message next time you perform same type of conversion. If the lead form has insufficient data to populate new record's required fields (e.g. your lead does not have fields “last name” & “first name” filled - required for contact form) - you will need to fill them in the new CRM record form that will open automatically. Add required values & continue. If you have multiple pipelines configured for deals, the system will ask you to choose pipeline the lead will be converted to. Lead’s Activities will be converted to new CRM record too. You will find them inside new record details page. Important: you can delete converted lead, but in this case you won’t be able to work with activities converted to new CRM record. 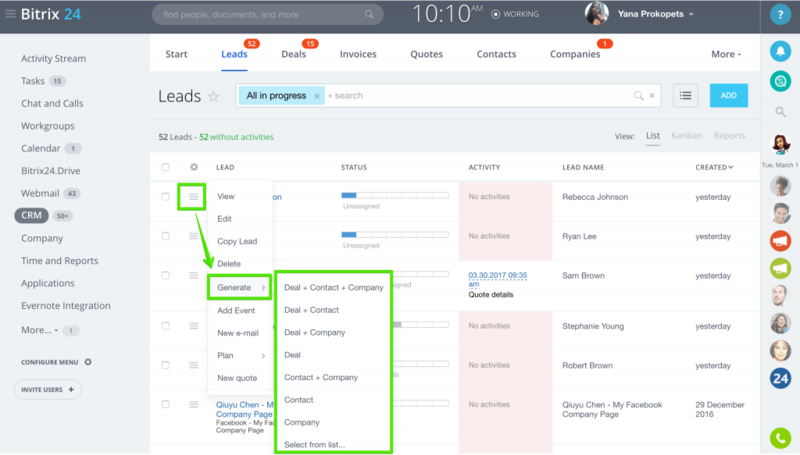 Several CRM records can be created from the same converted lead (it won’t be locked after first conversion). 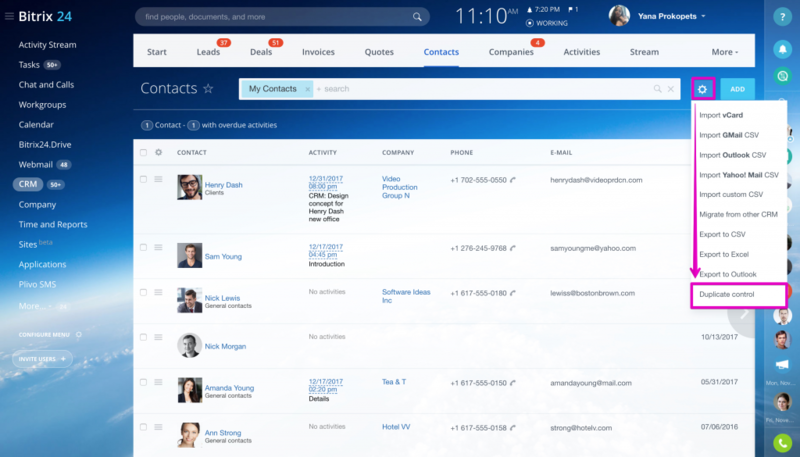 All new CRM records generated from the lead can be found in the corresponding sections in the lead's details page: contacts, companies, deals. As converted leads are not locked, it may happen that your sales team converts same lead to the same CRM record type several times (e.g. lead converted to several identical contacts) - if that was not done on purpose, you can use Duplicate control option to find & merge duplicates. Please note that CRM user should have Access Permissions configured to be able to access duplicate control option (access to "delete" action).